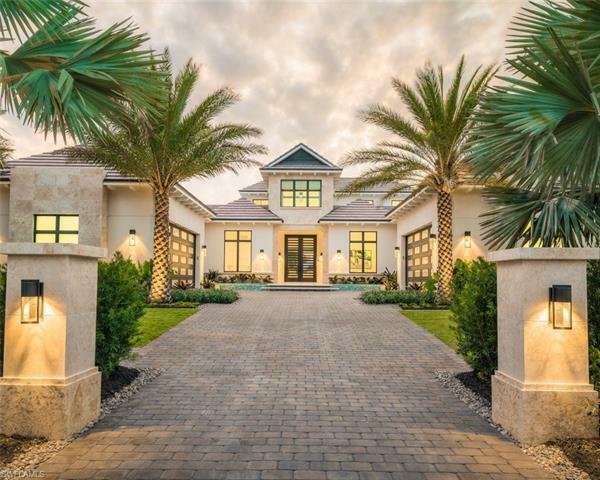 H. 13122 - scheduled for completion in may of 2019, this home sits on a southern facing lot, toward the end of the street, with no bridge access to the gulf. 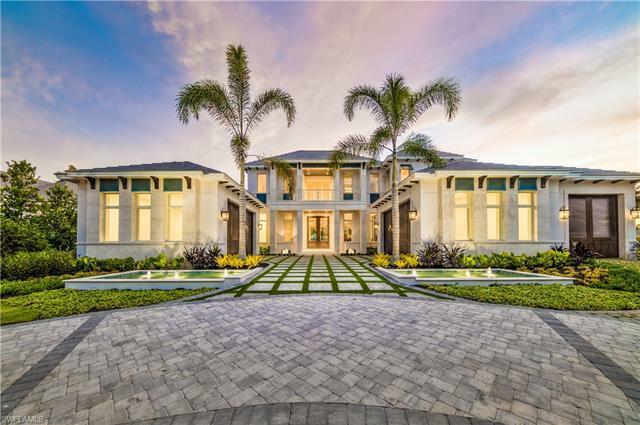 Conceived and constructed by the finest team in luxury construction, this a. Vernon allen masterpiece was penned by john kukk and designed by lisa kahn. Its sprawling floorplan includes: soaring ceilings, 5 bedrooms with 2 master suites, a theater room, an exercise room, a 4 car garage, and a gated entry; as well as, custom european cabinetry, a stately wine room, 10 security cameras, outdoor gas fire pit w built-in seating, outdoor shower, 1000 gallon propane tank with generator, dual staircases, a glass elevator, sonos in all main living areas, a new seawall with boat slip, and a fully equipped gym with technogym equipment and a long-water-view. The centerpiece of the home will be a dramatic pool, flanked by 6 specimen plants, that emerges from within the home's envelope and culminates with multiple sun decks and an infinity edge. Progress photos to be added shortly.